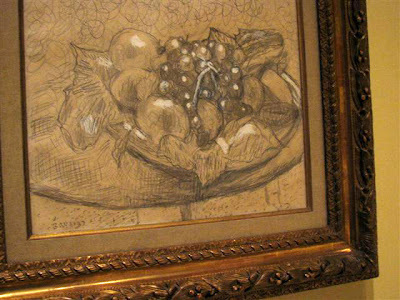 Bonnardish still life...,watercolor, 9" x 11"
Bonnard pinned his canvase to the wall and painted on them directly. They were mounted on stretchers later. Initially the walls were lined up with works in progress. 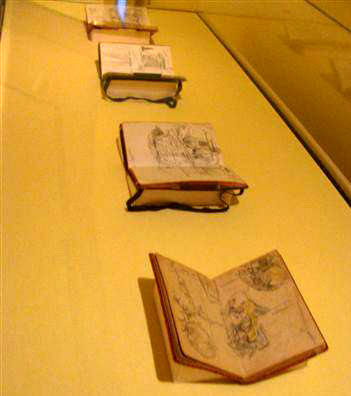 There are plenty of his small daybook sketchbooks on view. I'll be back for more Bonnard. Maybe today. There's an excellent slide show at the Times today on the show. OMG, I'm so jealous, Carol!!! 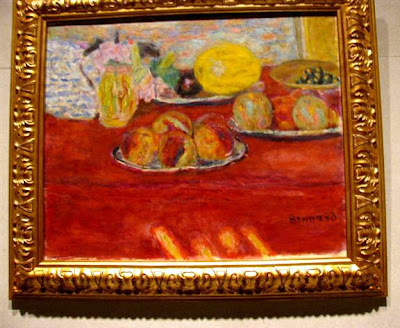 I LOVE LOVE LOVE Bonnard! His paintings are so beautiful. This is great--MORE! I wish I could see this. You're so lucky. I love your painting, too. That blue and white room is to die for--so lovely. Thanks for sharing this--you just made my day. I think I have to have this catalog. Just scrumptious. Bonnard influenced one of my favorites of all time, Fairfield Porter. Look at all the richness.. just remarkably tactile. Looks like a fantastic show. Fabulous post & show. Love your painting today! Yep it's a winner of a show. loved your water colour today...and purchased it. happiness is a water colour from YOU! Oh Carol! ?Thank you so much for including me in this incredibly lovely post!!!!!!!!! I have literally been in bed with the flu for twelve days! ?This post is going to get me up and painting again! Thank you so much for giving me the nudge! ? 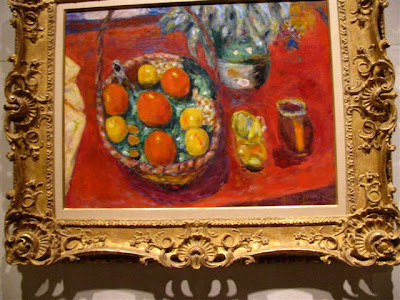 When I saw the article about Bonnard in the NY Times this morning, I thought of you, and wondered if you had gone. ?What a delight to see you had! I love your still life. ?Who could want more????? I wouldn't miss the opportunity to visit the exhibition. 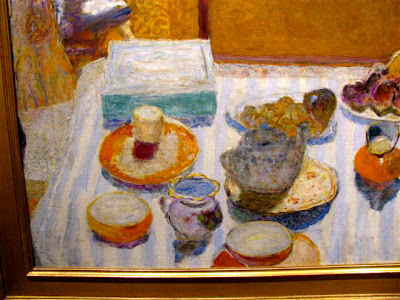 Bonnard has a unique way with colour and composition. Thank you SO much for showing this - will add it to my Amazon wish list. 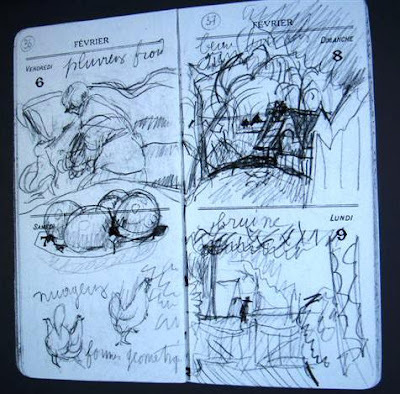 I recently studied Bonnard's method of working - totally fascinating! c'est toujours un plaisir de se balader sur ton blog. j'ai fait un petit post gourmand sur Paris. I wish my friend was still alive for me to show this to. Thanks you sooo much for drawing my attention to this show. Les Nabis are my absolute favorite painters ever. You brightened my day with Bonnard! I am jealous. :) I live in the midwest where art shows are not as plentiful as they are in other areas. After living in Europe for ten years, I learned to appreciate art in a way I did not before. This is a lovely posting... and refreshing to the eyes. Why, why why am I not in NYC??? ?Thank you for the tour! Thanks for the info on Bonnard. He is definitely one of my favorite artists. He's one of my favorites too. I think I need to find a way to get to this show, if it will stay there long enough. Definitely want the catalogue too. Thanks for the heads up and the intro to Jeanne! How I adore your gorgeous blog! 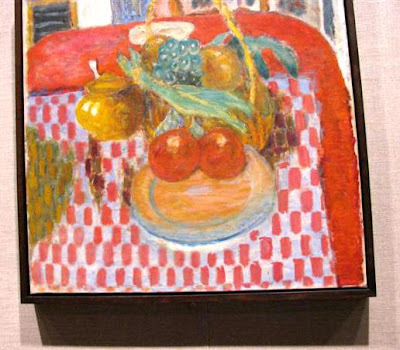 Thank you, thank you for this lovely selection of Bonnard, one of my favorite artists. Do you know if this exhibit will be traveling anywhere--perhaps L.A.? 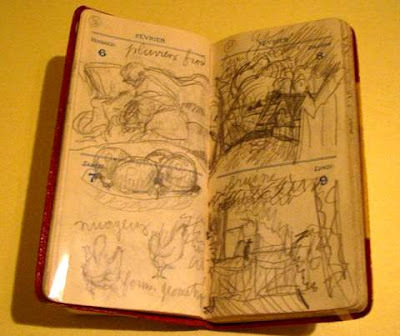 I have never seen a whole exhibit of Bonnard. 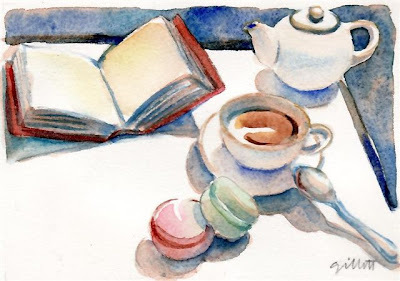 and I love the watercolors. Great post, Carol! Thanks for all the links - and your beautiful work too! thanks for the heads up on this. was there yesterday - quite wonderful. How did you manage to photograph the paintings? I saw this amazing exhibition but the guards didn't let me photograph. I'm in awe with Bonnard. 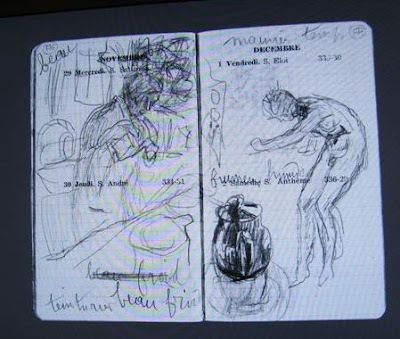 I really enjoyed coming across and reading this post on Bonnard. 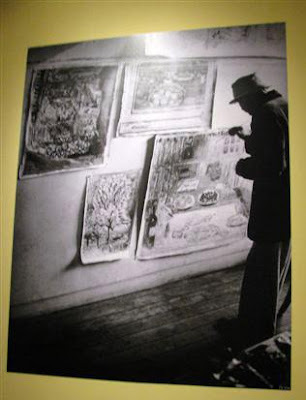 I visited a Bonnard exhibition in Wuppertal last year and found his work very inspiring. 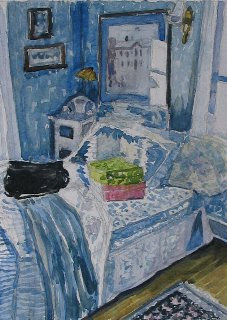 I even tried a few takes on Bonnard's fantastic interior scenes myself (if you like, check out http://rodneyvdb.blogspot.com/search/label/Bonnard). More in general I like this artistic blog with special attention for Paris! Always nice to meet a Paris fan. Looking forward to following your work of Paris painted dreams!